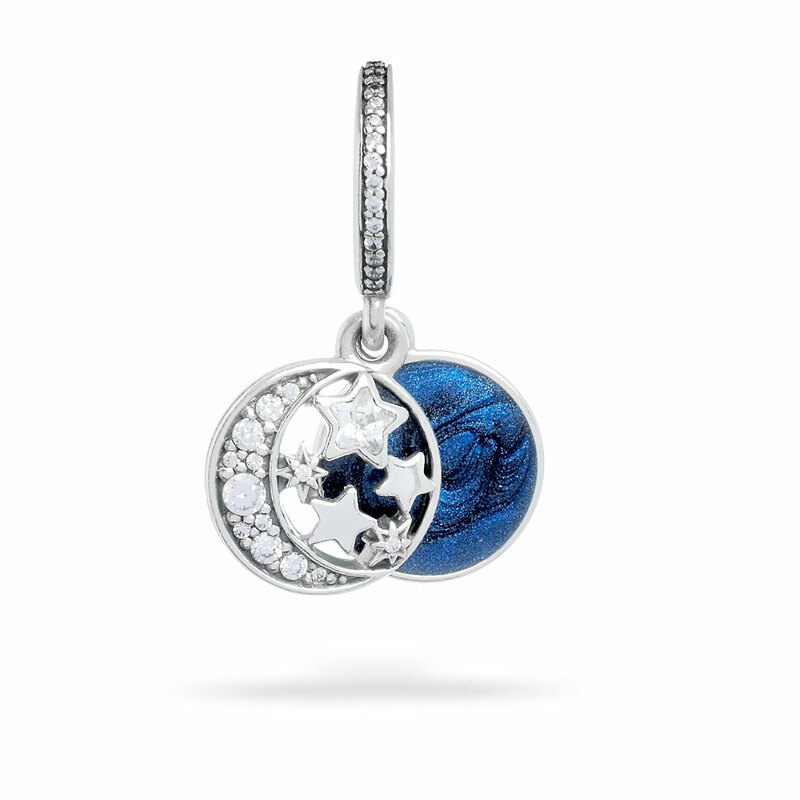 This detailed sterling silver hanging charm features a stunning night sky motif and the elegant engraving "I love you to the moon and back". It is the ideal jewellery piece for showing someone special that your love is as endless as the universe. Available in-store and online.This item is a single charm only. Bracelets sold seperately. Styling images may show this charm on a bracelet as styling inspiration.